Your unwavering support of native plants allows us to donate to worthwhile environmental groups every year. Earth Day offers another chance for your online purchase with us to make a difference. 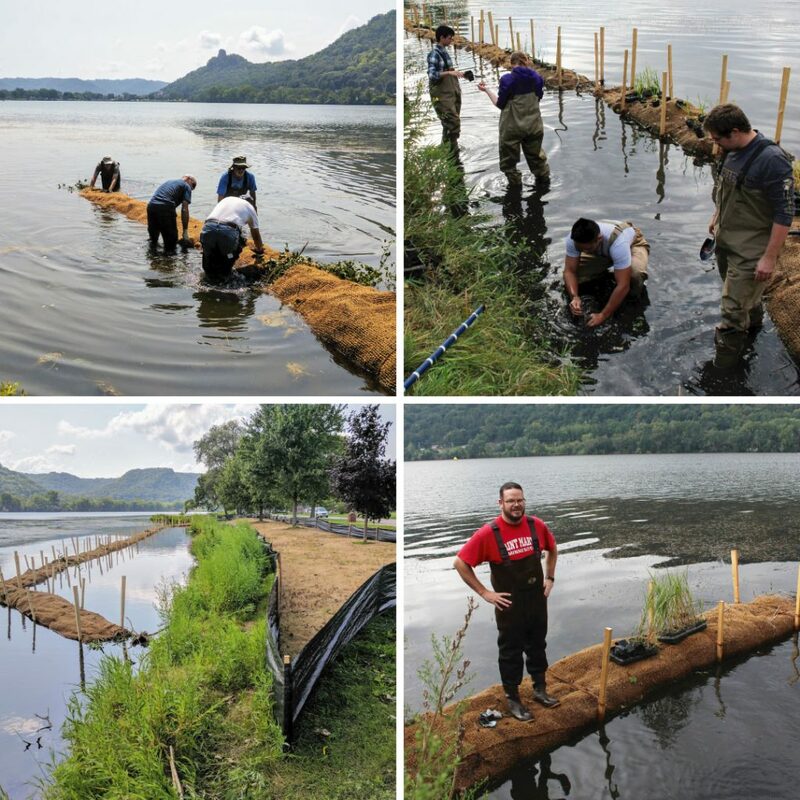 HEALTHY LAKE WINONA is a citizen-led, community group dedicated to local lakeshore restoration to enhance water quality and ecological integrity. Their mission is to create a healthy, natural environment that supports a wide variety of native species and provides recreational opportunities for all ages. This small group of volunteers has already accomplished so much in its 2 years since inception, from removing invasive species to planting diversified native seed mixes, and native wetland plugs. Their commitment and organization is an extraordinary example of what can be done by a small group of dedicated people at the grassroots level. To keep future Healthy Lake Winona projects going, they need our support! 5% of profits from your online purchases April 17th through Earth Day 2019 will go directly to funding this environmental action group. Plus, we’ll throw in a free seed packet of Early Sunflower! In addition to donating 5% of our profits from your online sales to Healthy Lake Winona, you will also receive this free seed packet with every order through April 22nd! As a business located in a small Minnesota community, as advocates for ecological integrity, and as promoters of environmental education, we are proud to support Healthy Lake Winona for Earth Day 2019. Support Healthy Lake Winona!